These Joie Mariner Crops will take you right through fall. They’re incredibly comfortable – basically like socially acceptable pajamas. I paired them with my newest favorite thing, this Saks white tee. So effortless and on sale for $20. But be warned, they run small and shrink something terrible – I am wearing a size large (after washing/drying twice). If you saw this post on instagram yesterday, you may be wondering what’s in the boxes. 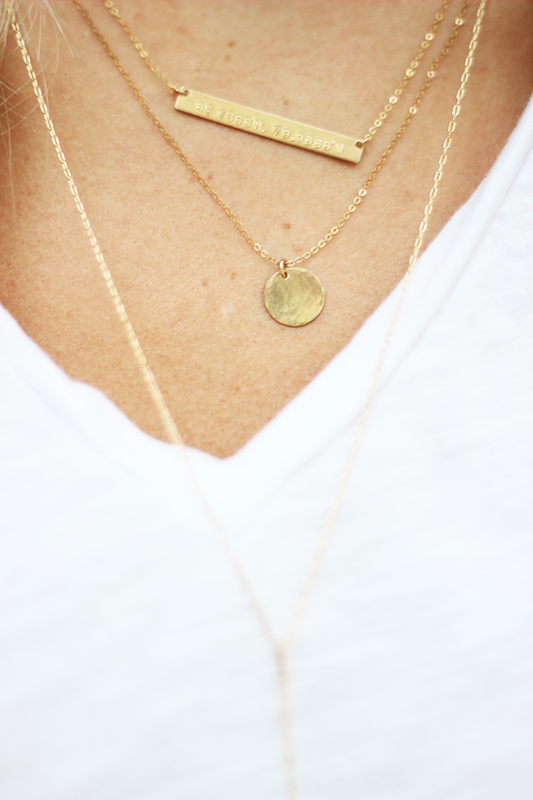 Well, it’s these gorgeous necklaces from Layered and Long! Their jewelry is beautifully hand-crafted and 14k gold filled. I’m obsessed. By the way, you can save 10% in their shop with the code STYLEMESWANKY. Of course I finished off the look with my trusty Philip Lim Pashli bag and the BCBG wedges I wear with literally everything. They’re very old, but these …ohh these. They are high on my lust list and fairly similar in style to the ones I’m wearing. That’s the thing about shoes. Buy a good pair and they’ll last you. Oh yes. The bracelets are Harper Designs, Bourbon & Boweties, and that beaded one? That’s the Nordstrom Audrey bracelet. I just adore this whole outfit. I may have to copy you and buy those pants- LOVE! and the jewelry is perfection! Gorgeous as always! Im in love with those layered and long necklaces. Im going to take a better look now! Love this look! Have to ask – where is your skinny forefinger ring from? It's the perfect size! So pretty!! Outfits like these are always a favorite of mine!! Such a cute look! This outfit is perfect! It's so comfy while still being really pulled together, I love it! PS: you are the BOMB! 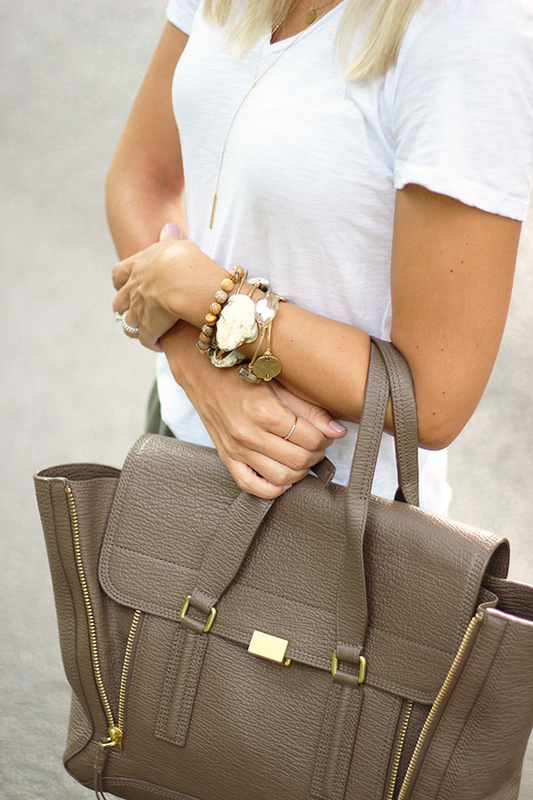 Love how effortless chic this outfit looks with the vintage tee!! The jewelry is perfect and you look adorable!